I’m leaving the Netherlands today; our bus back to London goes at 11 and then we’ll be stuck in there for 10 hours. Ugh. Glad to be going back, but not looking forward to the trip at all. 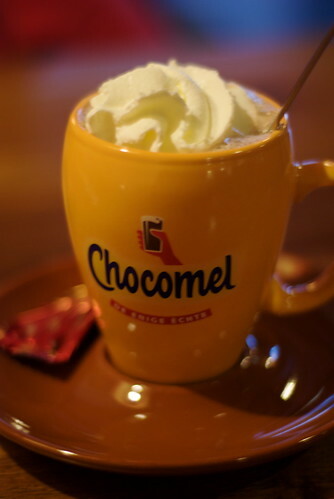 So for these last few hours that I’m here, here’s the only “Dutch”; photo I’ve made during this holiday: Chocomel!